Hello Friends! 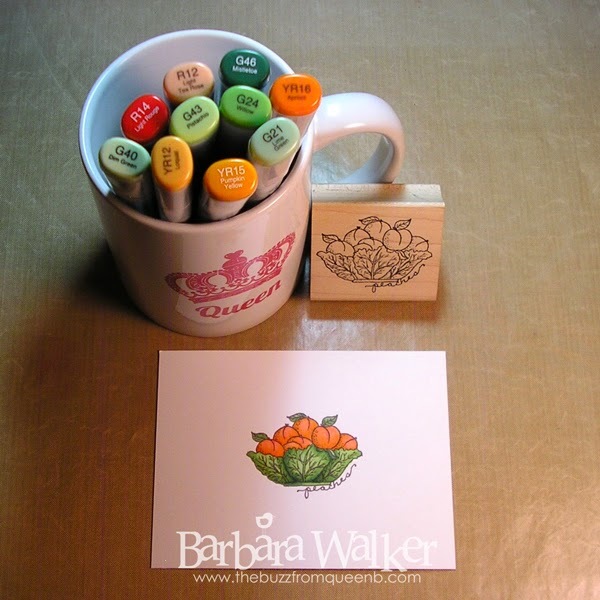 I'm just buzzin' by for a quick post to let you know that Kathy Racoosin of The Daily Marker blog is hosting another 30 Day coloring challenge, that will begin on June 1. Sound like fun? To join in, make sure you're following The Daily Marker blog and KathyRac on Instagram. You will also want to subscribe to The Daily Marker YouTube channel, so you don't miss a thing Kathy has to share. And just like last time, there will be videos, discount codes and prizes! Plus, Kathy is very talented and she shares TONS of tips and techniques. And all of this is FREE people! MelJen's Designs - whimsical images all on one CD! Tiddly Inks - Super cute people images and FREEBIES! Useless Trinkets - unique images, all FREE! I know that there are more sites to find digital images, I've only listed a few. You could do a Google search and find many, many more. And lastly, even if you don't want to color everyday, stop in from time to time and take a look at what others are sharing. You may get inspired to color after all. I hope your week has been awesome! Thanks for stopping by today. Oh, Barb, what a beautiful Lockhart image you've colored perfectly! Yes, I'm subscribed (since I missed the first challenge), so I'm watching out for the next one. Thanks for the great reminder and great list of digis! Hugs!